Many people suffer from hearing loss. In fact, statistics show that over 10 percent of the US population reports difficulty hearing. That’s more than 31 million people! And as the Baby Boomer generation continues to age, that number promises to increase dramatically. In addition, studies have linked untreated hearing loss to emotional, physical, mental, psychological, and even economic disadvantages. And, to make matters worse, there are many myths about hearing loss that prevent those with hearing loss from doing anything about it. One of the most common myths about hearing loss is that only “old people” suffer from it. In fact, the reverse is true. The majority (65 percent) of people with hearing loss are younger than 65 and six million people in the US between 18 and 44 suffer from hearing loss, according to the Better Hearing Institute. Conductive: This could be caused by something as simple as earwax buildup. 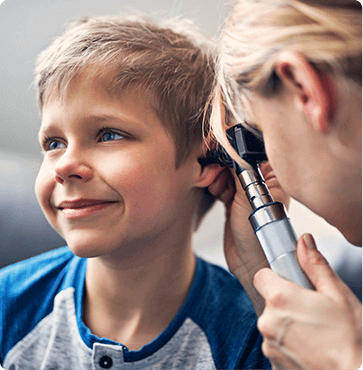 Austin ENT Clinic Pediatric & Adult Care offers an extensive array of diagnostic and preventive hearing care services, including hearing aid screening, evaluations, hearing aids sales, and rehabilitative and preventive counseling. Request an appointment online to discuss your personal situation and how we can help you. We look forward to seeing you soon.